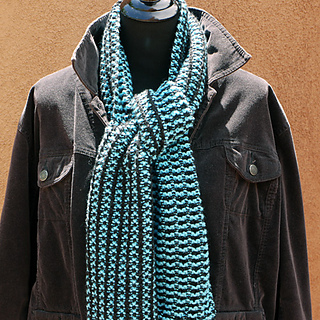 Wear it wrapped, looped, or as a traditional scarf! 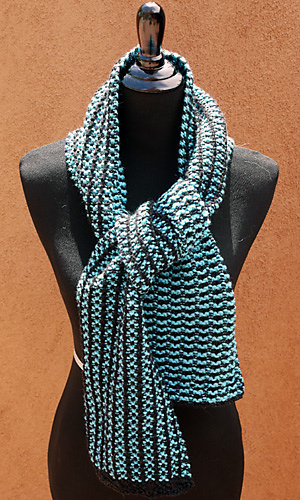 Knit in an easy, two-color slip-stitch pattern, two skeins of Cascade 220 will make this flexible accessory. 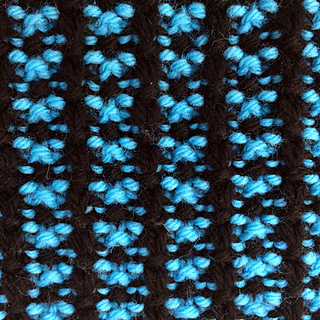 The Pattern Stitch is formed with a four-row repeat, with each color worked for two rows and carried up the side. No horizontal carrying is needed. The gauge for Turquoise Trail will depend upon the yarns chosen. The gauge as pictured is approximately 5.3 stitches = 1” on a #8 needle. However, gauge does not need to be precise and will vary depending upon the yarns chosen. 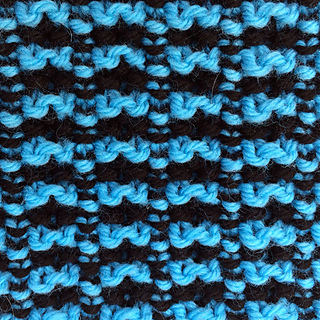 The Pattern Stitch can be easily adjusted for a wider or narrower piece. 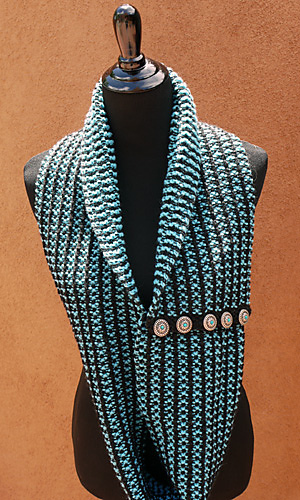 Turquoise Trail can be made with or without functional buttonholes and embellished with buttons of your choice. 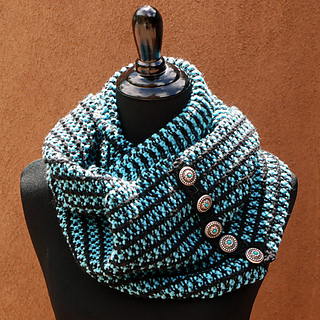 Experiment with needle size and yarns to create a unique, eye-catching accessory. Suitable for newer knitters comfortable working with two colors and slipped stitches.